KARACHI: The shocking underfundedness lays bare the sickening fact that healthcare is not a priority for the underdeveloped and in some cases the slowly developing countries. To make the matters worse, even those too-little-and-too-late funds are waylaid on their way to the right places -- courtesy corruption. Maternal mortality is a serious problem in these countries and Pakistan is not an exception. The country has its share of such healthcare issues, but not much is being done to help the situation. Women in rural areas may go through life without ever seeing a doctor, this adds to maternal mortality amongst other issues. Expecting mothers also face many issues due to the lack of health facilities including unavailability of doctors. 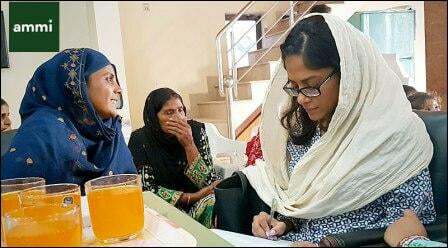 But 'necessity is the mother of invention' and team of two tender as well as visionary hearts, namely Israa Nasir and Kamil Shafiq, has become a glimmer of hope for women deprived of the most basic necessities like healthcare. Israa Nasir – a trained health professional from the University of Toronto and The Derner Institute of Psychological Studies in New York and Kamil Shafiq – a graduate from the Schulich School of Business in Canada – met in Toronto at a hackathon titled Pakathon, which unites Pakistanis across the world to come up with solutions, which have a social impact in the countries of their origin. 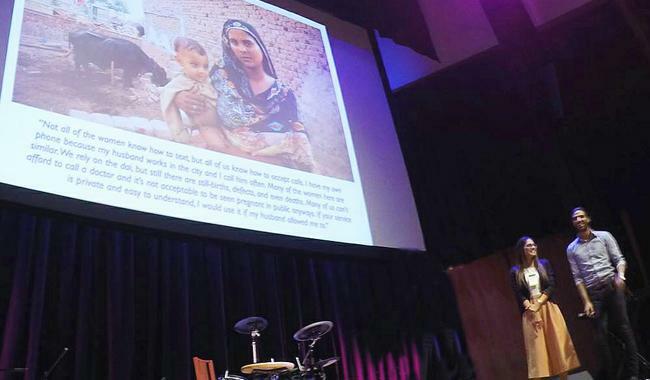 Doing their bit for their country, the duo developed a voice message service, which enables the women living in the remote areas to get some form of assistance via relevant information. Their innovative healthcare product, called Ammi Service (mother service), aims to reduce maternal and infant mortality. This voice message service has been developed to help pregnant mothers, who otherwise would remain unattended in a country, which has one of the highest infant mortality rates in the world. “The lives of many expecting mothers can be saved by giving them access to right information,” the duo told The News in an interview. “In this digital world such a service which gives access to vital information can literally be a lifesaver for a mother and her child,” they said. 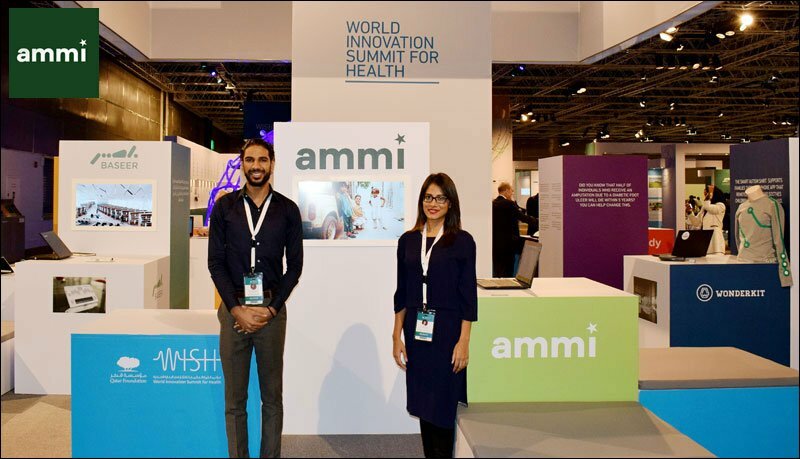 The brains behind 'Ammi Service' - Kamil and Israa presenting at the World Innovation Summit for Health 2016 in Doha. All that an expecting mother has to do is to subscribe to the Ammi Service and provide an approximation of her due date as soon as she conceives. After this, she will receive weekly/bi-weekly voice messages based on her time during the pregnancy. For example, in her ninth week, she will receive messages based on suggested health behaviours, nutritional information and warning signs that are relevant to the stage of pregnancy in that week. The service will span over 21 months: 9 months of pregnancy + the first 12 months of the baby's life. Although this is not new for women living in developed countries, it is the first of its kind in Pakistan. Previously, such products failed to take root in Pakistan due to various reasons mainly as they were not culturally sensitive or tailored to Pakistan’s society. Often, the content and phrasing of messages was considered offensive to the regional demographic. To make this service accessible to a large number of people who live below the poverty line - over 50% of the population - initially it is offered for less than Rs25/month and likely to change after the pilot project. There is hope that the price could be further reduced if Kamil and Israa get a corporate partner or government support. Another issue was the high rate of illiteracy in Pakistan, but it stands resolved as Ammi service is voice-based. Women will receive phone calls coinciding with the stage of their pregnancy. As long as she knows how to answer a phone call, she can take advantage of it. As the service is charging a nominal subscription per month the business model aims to bring in advertisers who are looking for the rural population as targeting data about them is often ubavailable. Medical lead Israa conducing a focus group with local women in a katchi abadi in Lahore. Similar services have proved to be successful in many countires including Bangladesh, South Africa, and India, --with a subscriber base of around 1-2 million within 2-3 years. According to a November 2016 report by UN’s International Telecommunications Union (ITU), Pakistan is one of those few countries, where gender gap is high with regard to mobile phone usage and ownership of cell phones. The data shows the difference in male (81 percent) and female (64 percent) cellular phone users in Pakistan was 17 percent in 2015. It is very likely that a male member of the family may receive the message first, so the message has been designed in a way that it is sensitive to cultural norms of the society. The much-needed health service is expected to be launched in January 2017. Initially, it will be available in Urdu only but to make this solution successful and scalable across the country, the developers are working hard to offering it in all of Pakistan's regional languages. Ammi’s full-scale launch will engage local governments and medical workers across the country to understand the pertinent needs the product can address at grassroots level.